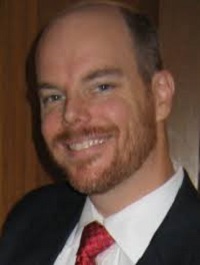 This is an Open Letter to Ellis County Texas District Attorney Patrick Wilson (shown here). Patrick Wilson, you know very well who I am. I am a person that you have been responsible for illegally detaining, illegally incarcerating, illegally denying bond, illegally blocking release, lying about in Court, and failing to uphold your Oath of Office. My name is William M. Windsor. I have never been arrested, have never been charged with a crime, and had never been in jail prior to October 28, 2014. But for 53 days, from October 28 to December 19, 2014, I was detained in the Ellis County Jail in Waxahachie, Texas as a political prisoner. The extradition law in Texas is in Article 51 of the Texas Code of Criminal Procedure. Attached hereto is my legal analysis of Article 51 for the benefit of anyone ever held in a Texas jail on extradition to another state. I also specifically address my case and provide the evidence and explanation of the many violations of the law and your Oath of Office. District Attorney Patrick Wilson, I am asking you to read this (even though I've already said this in your presence in court) and go to Judge Cindy Ermatinger immediately, and advise her that the laws of Texas have been violated, and William M. Windsor must be discharged and the December 19, 2014 bond be removed. This is your legal obligation. Failure to do this will be a further violation of your oath and a violation of my Constitutional, civil, and legal rights. I am preparing to sue you for civil rights violations under 42 USC 1983, and I believe you have an obligation to mitigate damages as well as the obvious obligation to go by the law. I am also mailing the enclosed document to you, the Attorney General of Texas, the Governor of Texas, the Texas Rangers, the FBI, and the U.S. Department of Justice. I will also send it to each of the 254 District Attorneys and Sheriff's Department in Texas as well as to bail bond companies all over Texas. It is my intent to follow all extradition matters in Texas, both past, present, and future, and participate in a class action lawsuit and demand resignations and investigations if I find you and others have repeatedly violated these laws. William M. Windsor Commentary: This statute requires that the allegedly-accused be a fugitive from a state other than Texas. This means the allegedly-accused must have committed a crime in the other state and then fled (left) that state. If the allegedly-accused is not accused of fleeing from another state, this statute does not apply. If an allegedly-accused person is detained by law enforcement on an extradition matter, the first thing to do is to demand to see all documents that law enforcement claims gives them the right to detain an allegedly-accused person. If those documents do not claim that the allegedly-accused person committed a crime in the other state and then left that state, then Article 51.01 does not apply. Do not give up your right to remain silent; don’t answer any questions. Just ask questions; ask to see the documents. Also ask what Texas Statute gives law enforcement the authority to arrest or detain you, and insist that you be given a copy to review. If you weren’t in that state at the time claimed, ask someone on the outside to go through your expense receipts or other information that will prove you were not in that state. Get affidavits from people who can attest that you were in Texas or elsewhere at the time. NOTE: I use the term “allegedly-accused” because you do not want to admit to being the person sought. You have the right to remain silent. Make the authorities prove that you were in another state and committed a crime and are the same person being sought. In extradition, proving your identity is one of only four factors that you can fight with a petition for writ of habeas corpus if a Texas Governor’s Warrant is issued. If you are detained by a Texas law enforcement agency (police department, sheriff’s department), you will want to file a petition for writ of habeas corpus charging that you were illegally arrested. State of Texas v. William M. Windsor, 14-158, District Court, Ellis County Texas (2014): There is no indication that Windsor was alleged to be a fugitive (a person who committed a crime in one state and then left that state to go to another state or country). The Bench Warrant (Exhibit A) says no such thing. In fact, it only speaks to arrest in Montana. Also note that the fax date and time stamp is October 29, 2014 – 24 hours after Windsor was detained at 6:00 pm on October 28, 2014. It appears there was not even a “bench warrant” in hand when Ellis County Sheriff’s deputies handcuffed Windsor and took him to jail. Windsor did not commit a crime in Montana and flee the state. Any such allegation will be manufactured. Windsor can prove his whereabouts with receipts and witnesses from August 28, 2013 to the present, and he was nowhere near Montana. The Bench Warrant (Exhibit A) provides no identification of the accused – just a name shared by many, including a number of Texans and Prince William. The “entire file of the District Attorney” (Exhibit A – Exhibit B – Exhibit C) does not include any documentation to indicate that the Executive Authority of Montana made any demand. If Ellis County Texas claims that Article 51.01 applies, this statute was violated, and Windsor was detained illegally. William M. Windsor Commentary: Article 51.02 requires that the allegedly-accused be a fugitive from a state other than Texas. This means the allegedly-accused must have committed a crime in the other state and then fled (left) that state. So, the first thing to do is to demand to see all documents that law enforcement claims gives them the right to detain an allegedly-accused person. If those documents do not claim that the allegedly-accused person committed a crime in the other state and then left that state, then Article 51.02 does not apply. Do not give up your right to remain silent; don’t answer any questions. Just ask questions; ask to see the documents. Also ask what Texas Statute gives law enforcement the authority to arrest or detain you, and insist that you be given a copy to review. If Ellis County Texas claims that Article 51.02 applies, this statute was violated, and Windsor was detained illegally. William M. Windsor Commentary: Article 51.03 requires that a complaint has been made to a Texas magistrate and that the Texas magistrate has issued a warrant of arrest. There is supposed to be a properly-certified transcript of an indictment to show that the allegedly-accused has been properly charged with a crime (see Art. 51.05). If there is no Texas Magistrate Warrant of Arrest, then there is no legal basis for the allegedly-accused to be arrested or detained pursuant to Article 51. Remember where this report is posted on the Internet, and ask to have it accessed and printed. Show it to the peace officer (policeman or sheriff’s deputy usually), and show them that a Texas Magistrate Warrant of Arrest is required. If the peace officer doesn’t have one and claims Article 51 applies, demand your release. If you are released, get out of there before they race around and get a Texas Magistrate Warrant of Arrest. State of Texas v. William M. Windsor, 14-158, District Court, Ellis County Texas (2014): There was no complaint. The “entire file of the District Attorney” is Exhibit A, Exhibit B, Exhibit C; there is no complaint, and there was no complaint made to a Texas Magistrate. Windsor was not a fugitive, as explained above. There is no warrant of arrest. A Montana Bench Warrant is not a Texas magistrate’s warrant of arrest. If Ellis County Texas claims that Article 51.03 applies, this statute was violated, and Windsor was detained illegally. William M. Windsor Commentary: Article 51.04 requires that a very specific complaint has been made to a Texas magistrate before the Texas magistrate has issued a Texas warrant of arrest. If there is no Complaint, then there is no legal basis for the allegedly-accused to be arrested or detained pursuant to this Article. If there is no complaint and law enforcement claims this Article applies, demand your release. State of Texas v. William M. Windsor, 14-158, District Court, Ellis County Texas (2014): There was no complaint at all, much less the specifics required by this statute. The “entire file of the District Attorney” is Exhibit A, Exhibit B, Exhibit C; there is no complaint, and there was no complaint made to a Texas Magistrate. There is nothing to identify Windsor. Windsor wasn’t in Montana, and he can prove it. There is nothing in the Bench Warrant (Exhibit A) saying that Windsor fled from Montana to Texas. There is nothing in the Bench Warrant that says Windsor is “alleged to have violated the Penal Code of Montana.” The “Affidavit of probable Cause” is signed by the Ellis County Sheriff’s Deputy who took Windsor from the courthouse to the Ellis County Jail. He had no way of knowing anything about Windsor but a similarity in name to the name on the Bench Warrant. There is nothing in the so-called “Affidavit of Probable Cause” (Exhibit B) that says William M. Windsor fled from Montana to Texas as would be required under this statute. Nor is there anything in it that says William M. Windsor is “alleged to have violated the penal code of Montana.” In fact, it says William M. Windsor committed “a misdemeanor that is against the laws of the State of Texas.” Windsor has no protective order in Texas and certainly didn’t violate one. The Affidavit of Probable Cause (Exhibit B) is blank where warrant information is supposed to be, and it does not have the teletype confirmation report that is required as emphasized in bold type. So, the Affidavit of Probable Cause is worthless. If Ellis County Texas claims that Article 51.04 applies, this statute was violated, and Windsor was detained illegally. William M. Windsor Commentary: Article 51.05 requires that the allegedly-accused (1) is brought before a Texas magistrate, (2) hears proof from the Texas magistrate that the allegedly-accused is charged with a crime in another state with the offense named in the complaint. Then the Texas magistrate grants a bail amount to appear before the Texas magistrate at a specified time. There is supposed to be a properly-certified transcript of an indictment to show that the allegedly-accused has been properly charged with a crime. If there is no proof and no appearance before a Texas magistrate where proof is presented, there is no legal basis for the allegedly-accused to be arrested or detained pursuant to this Article. Remember where this report is posted on the Internet, and ask to have it accessed and printed. But if those things exist, then the Texas Magistrate is to order a Texas bail amount. Some Texas law enforcement authorities, such as the Ellis County Sheriff’s Department and Ellis County District Attorney’s Office, claim the bond is from another state. This blatantly violates the law. Ask for everything to be in writing and recorded. Note the names of the people involved, badge numbers, etc. State of Texas v. William M. Windsor, 14-158, District Court, Ellis County Texas (2014): Article 51.05 required that Windsor be brought before a magistrate who was to then hear proof, and if satisfied that Windsor was charged in another state with the offense named in the complaint, the magistrate was to set bond in a reasonable amount to appear before him at a specified time. A properly-certified transcript of an indictment against Windsor was needed to show that he was charged with the crime alleged. Windsor was never taken before a magistrate in the manner required. The Magistrate made no inquiries as to Windsor’s identity. The Magistrate set a $100,000 bond. The document (Exhibit C) clearly states that he is a Texas magistrate. The Ellis County Jail later claimed that Windsor was required to post a Montana bond that was acceptable to the Montana judge. If Article 51.05 applies to Windsor’s case, the bond was to be a Texas bond to require him to appear before the Texas Magistrate at a specified time. That was not done. A Montana bond cannot do that. There is no indictment, and thus there is no certified transcript of an indictment. The Magistrate’s document (Exhibit C) has an unsigned probable cause section. No facts had been presented to the Magistrate to him under oath, so he was unable to find probable cause. It is very clear that Exhibit A, Exhibit B, Exhibit C (the “entire file of the District Attorney”) establish that Windsor was “arrested,” incarcerated, and held without bond in violation of the laws of Texas. William M. Windsor Commentary: Note that 90 days is the maximum time that an allegedly-accused person may be held in Texas if the allegedly-accused is a fugitive from another state. This is different from the Uniform Criminal Extradition Act where an allegedly-accused person is to be discharged after 30 days. William M. Windsor Commentary: Note that if the allegedly-accused is discharged, the allegedly-accused may not be re-arrested in Texas except with a Texas Governor’s Warrant. Sec. 13. ARREST PRIOR TO REQUISITION. Whenever any person within this State shall be charged on the oath of any credible person before any judge or magistrate of this State with the commission of any crime in any other State and except in cases arising under Section 6, with having fled from justice, or with having been convicted of a crime in that State and having escaped from confinement, or having broken the terms of his bail, probation or parole, or whenever complaint shall have been made before any judge or magistrate in this State setting forth on the affidavit of any credible person in another State that a crime has been committed in such other State and that the accused has been charged in such State with the commission of the crime, and except in cases arising under Section 6, has fled from justice, or with having been convicted of a crime in that State and having escaped from confinement, or having broken the terms of his bail, probation or parole and is believed to be in this State, the judge or magistrate shall issue a warrant directed to any peace officer commanding him to apprehend the person named therein, wherever he may be found in this State, and to bring him before the same or any other judge, magistrate or court who or which may be available in or convenient of access to the place where the arrest may be made, to answer the charge or complaint and affidavit, and a certified copy of the sworn charge or complaint and affidavit upon which the warrant is issued shall be attached to the warrant. William M. Windsor Commentary: This details the requirements for arresting an allegedly-accused person in Texas based upon a warrant from a Texas magistrate, but prior to a requisition being sent to Texas requesting a Texas Governor’s Warrant. The first and most important requirement is that there has to be an oath before a Texas judge or magistrate that the allegedly-accused committed a crime in another state and fled from justice. The Texas judge or magistrate must then issue a warrant directing a law enforcement officer to apprehend the person named. The allegedly-accused must then be brought before a Texas judge or magistrate to answer the charge or complaint and affidavit. A certified copy of the sworn charge or complaint and affidavit must be attached to the warrant. The allegedly-accused must be allowed to answer. State of Texas v. William M. Windsor, 14-158, District Court, Ellis County Texas (2014): In this case, there was no warrant. There was no oath before a Texas judge or magistrate that the allegedly-accused committed a crime in another state and fled from justice. A Texas judge or magistrate did not issue a warrant directing a law enforcement officer to apprehend the person named. Windsor was not brought before a Texas judge or magistrate to answer the charge or complaint and affidavit. As there was no warrant, there was no certified copy of a sworn charge or complaint and affidavit attached to the warrant. Windsor was not allowed to answer as is also required by this statute. If Ellis County claims Article 51.13 Section 13 applies, the law was violated, and Windsor was “arrested” and incarcerated illegally. Sec. 14. ARREST WITHOUT A WARRANT. The arrest of a person may be lawfully made also by any peace officer or private person, without a warrant upon reasonable information that the accused stands charged in the courts of a State with a crime punishable by death or imprisonment for a term exceeding one year, but when so arrested the accused must be taken before a judge or magistrate with all practicable speed and complaint must be made against him under oath setting forth the ground for the arrest as in the preceding section; and thereafter his answer shall be heard as if he had been arrested on a warrant. William M. Windsor Commentary: This details the requirements for arresting an allegedly-accused person prior to a requisition being sent to Texas requesting a Texas Governor’s Warrant when there is no Texas Magistrate’s Warrant issued. The other requirements are the same as Section 13. The first and most important requirement is that there has to be an oath that the allegedly-accused committed a crime in another state and fled from justice. The allegedly-accused must then be speedily brought before a Texas judge or magistrate to answer the charge or complaint and affidavit. The allegedly-accused must be allowed to answer. State of Texas v. William M. Windsor, 14-158, District Court, Ellis County Texas (2014): In this case, Windsor was not arrested. He was taken before a magistrate the morning of October 29, 2014, but there was no complaint or oath before a Texas judge or magistrate that the allegedly-accused committed a crime in another state and fled from justice. Windsor was not given the opportunity to answer the charge or complaint and affidavit. The Magistrate’s document (Exhibit C) says “Affidavits charging you with these offenses (has not) been filed in this court.” The Magistrate did not find probable cause. No facts had been presented to the Magistrate under oath to show probable cause. Thus, that section of the document is unsigned. If Ellis County claims Article 51.13 Section 14 applies, the law was violated, and Windsor was “arrested” and incarcerated illegally. When neither section 13 nor section 14 have been complied with, there was no legal basis to “arrest” or incarcerate Windsor. Sec. 15. COMMITMENT TO AWAIT REQUISITION; BAIL. If from the examination before the judge or magistrate it appears that the person held is the person charged with having committed the crime alleged and except in cases arising under Section 6, that he has fled from justice, the judge or magistrate must, by warrant reciting the accusation, commit him to the county jail for such time not exceeding thirty days and specified in the warrant, as will enable the arrest of the accused to be made under a warrant of the Governor on a requisition of the Executive Authority of the State having jurisdiction of the offense, unless the accused give bail as provided in the next section, or until he shall be legally discharged. William M. Windsor Commentary: After either Section 13 or Section 14 takes place, the Texas judge or magistrate is to issue a warrant reciting the accusation and committing the allegedly-accused “for such time not exceeding thirty days” while the demanding state tries to obtain a Texas Governor’s Warrant. This section clearly states that thirty days was the time after which Windsor was to be released. THIS IS VERY IMPORTANT. 30 DAYS! The maximum amount of time that an allegedly-accused person may be incarcerated in Texas on an extradition matter is 30 days. If a Texas magistrate or judge fails to issue a warrant specifying the 30 days, the law has been violated, and the allegedly-accused has been incarcerated illegally. If the allegedly-accused is not discharged after 30 days, the law has been violated, and the allegedly-accused has been imprisoned illegally. State of Texas v. William M. Windsor, 14-158, District Court, Ellis County Texas (2014): Windsor was detained on October 28, 2014. Windsor appeared before the Texas Magistrate on October 29, 2014. December 19, 2014 was Day 53. Windsor demanded his release daily in writing from Day 31 to Day 53. Windsor should have been released without any bond required. District Attorney Patrick Wilson gave false information to Judge Cindy Ermatinger saying the 30 days began at a later date. This is absolutely false. The statute is very clear, and there is case law on this. The actions of District Attorney Patrick Wilson in this case have been deliberately in violation of the law. Windsor sent District Attorney Patrick Wilson a letter from jail detailing the law and the violations, and he ignored it. The Oath of Office that District Attorney Patrick Wilson took stated: “I swear that I will faithfully execute the duties of the office of District Attorney of Ellis County Texas, and will to the best of my ability preserve, protect, and defend the Constitution and laws of the United States and this state, so help me God.” District Attorney Patrick Wilson violated his Oath of Office by intentionally ignoring the law and allowing it to be violated again and again and again. Windsor should have never been incarcerated, but he certainly should have been released after 30 days. Article 51.08 provides that once released, he could not be arrested upon a charge of the same offense except by a warrant from the Governor of Texas. As Judge Cindy Ermatinger has failed to discharge Windsor, he is being denied that important legal right. Sec. 16. BAIL; IN WHAT CASES; CONDITIONS OF BOND. Unless the offense with which the prisoner is charged is shown to be an offense punishable by death or life imprisonment under the laws of the State in which it was committed, a judge or magistrate in this State may admit the person arrested to bail by bond, with sufficient sureties and in such sum as he deems proper, conditioned for his appearance before him at a time specified in such bond, and for his surrender, to be arrested upon the warrant of the Governor in this State. William M. Windsor Commentary: THIS IS VERY IMPORTANT. The allegedly-accused person is to be offered Texas bail unless the alleged crime is punishable by death or life in prison. A TEXAS judge or magistrate is to set the amount of the bail and the terms of the bond requiring the allegedly-accused to appear before the Texas judge or magistrate at a specified time. If any jail claims the demanding state sets the bail amount and bond terms, it is absolutely false. Judges in other states have no jurisdiction in Texas. If the allegedly-accused is not granted bail in Texas by a Texas judge or magistrate, this is a violation of the law, and the allegedly-accused is being incarcerated without bond in clear violation of the law. State of Texas v. William M. Windsor, 14-158, District Court, Ellis County Texas (2014): The only bail that a Texas magistrate can set is a TEXAS bail, not a Montana bail/bond. Windsor has reviewed approximately 100 Texas appellate court decisions on extradition, and none had a bond other than Texas. Drake v. Spriggs, No. 13-03-429-CV (Tex.App. Dist.13 12/14/2006) is exactly on point. Extradition of a Texas mad was sought by Colorado. He was denied a Texas bond, and the appellate court ruled this was an error. There is nothing in Texas law to indicate that a Texas magistrate can order an out-of-state bond. A Texas magistrate has no such jurisdiction. There is nothing in Texas law to provide that a person being held for extradition is to post a bond from another state. The idea that a bond can be set in Texas by a judge in Montana is ludicrous. Forcing Windsor to provide a Montana bond would deny his right to fight extradition. Windsor would be forced to appear in Montana and would lose his rights to fight extradition and seek relief by habeas corpus. Windsor was outrageously denied bond and spent 52 days illegally incarcerated and denied bond. Sec. 17. EXTENSION OF TIME OF COMMITMENT; ADJOURNMENT. If the accused is not arrested under warrant of the Governor by the expiration of the time specified in the warrant or bond, a judge or magistrate may discharge him or may recommit him for a further period not to exceed sixty days, or a judge or magistrate may again take bail for his appearance and surrender, as provided in Section 16, but within a period not to exceed sixty days after the date of such new bond. William M. Windsor Commentary: The amount of time that an allegedly-accused person may be held may be extended for another 60 days IF all laws were complied with prior to Day 30 and if the Texas judge or magistrate extends the time prior to Day 30. If the allegedly-accused is not discharged after 30 days and no extension is ordered by a Texas judge or magistrate, the law has been violated, and the allegedly-accused has been imprisoned illegally. If the matter is legally extended for up to 60 days, the allegedly-accused is again allowed a new Texas bond. If the allegedly-accused is held beyond 30 days and is not granted a new bail, the law has been violated, and the allegedly-accused has been imprisoned illegally. State of Texas v. William M. Windsor, 14-158, District Court, Ellis County Texas (2014): In this case, there was no such request made prior to the expiration of 30 days. There was no order of extension. William M. Windsor is not an attorney, and this document is not legal advice. William M. Windsor is an activist fighting government, judicial, and law enforcement corruption who is representing himself in an alleged criminal case (14-158 in Ellis County Texas) that seeks to extradite him from Texas to Montana. The information herein is the result of many hours of legal research. The statutes are very clear on extradition, and Texas law enforcement, jails, prosecutors, and judges (at least in Ellis County) violate the law and their victims never realize it. Here are the court documents: First Amended Petition for Writ of Habeas Corpus -- Affidavit of William M. Windsor dated December 11, 2014 -- Exhibit A -- Exhibit B -- Exhibit C -- Exhibit D -- Exhibit E -- Exhibit F -- Exhibit G -- Exhibit H -- Exhibit I.